He was only at the club for one season, but certainly proved his worth, scoring 47 goals in 51 games, the kind of stats you rarely see in the modern game. 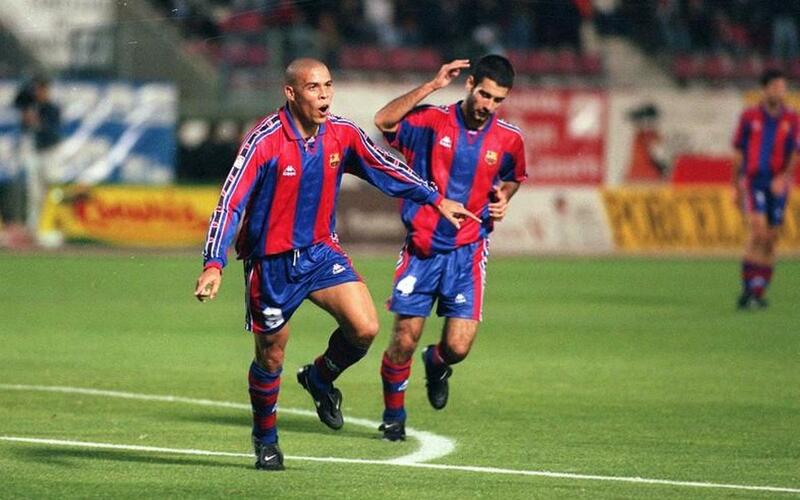 The ‘Phenomenon’ was an uncommonly burly player, with sublime skills, a powerful sprint and a fantastic finish. In the 1996-97 season, under Bobby Robson he helped Barça to a Cup Winners Cup, the Copa del Rey and the Spanish Super Cup, and the goal he scored in Compostela on 12 October 1996 when he picked up the ball inside his own half, took on several defenders before finishing into the corner is one of the most memorable of all time. At only 20 years of age, he looked destined for big things at Barça, but an unfortunate series of episodes involving the Board of Directors and his own agents led to him leaving for Inter Milan.